Soap is a necessity. We all want to feel clean and take care of our skin, but we don’t have to do it at the expense of our skin or the animals who suffer when tested on for the production of personal care products. That’s why it’s best to buy soap that is cruelty-free and doesn’t contain harsh or damaging chemicals. Many soaps contain parabens, phthalates, artificial colors and fragrances, and more. These dangerous ingredients can be avoided by choosing soap made with better ingredients. We’re helping you cut down on your research time with this list of 15 natural, cruelty-free soap bars on Amazon. O Naturals bar soap is made with natural, fresh citrus scents and contains vitamin C to boost skin’s natural collagen. It’s paraben-free, sulfate-free, cruelty-free, and French triple milled. This citrus collection has six varieties: tangerine, wild orange, grapefruit, Petitgrain, bergamot, and lemon. The price for all six bars is $16.99. 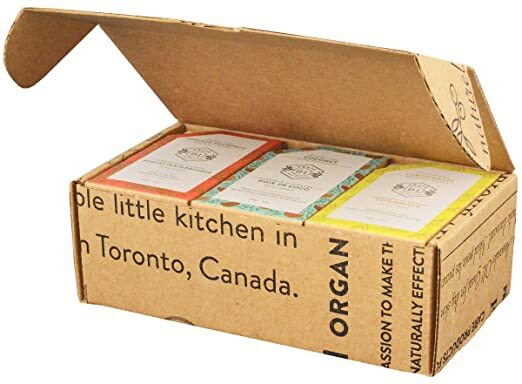 Crate 61 Organics Cold Process Bar Soap is made with premium essential oils and contains no fragrances or synthetic chemicals. 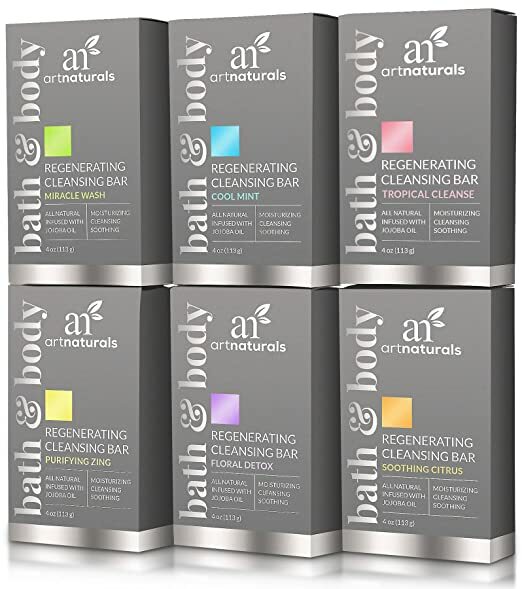 This collection is their best-seller box set, which contains their 6 most popular bars: lavender, lemongrass, seaweed & sea salt, eucamint, avocado grapefruit, and coconut. The price for the collection is $17.95. Anatolia Daphne Handmade Olive Oil Soap Bar is made with just four ingredients: olive oil, a soap base, vegetable oil, and water. It’s cruelty-free, handmade, paraben-free, alcohol-free, and sulfate-free. The price for nine bars is $21.99. 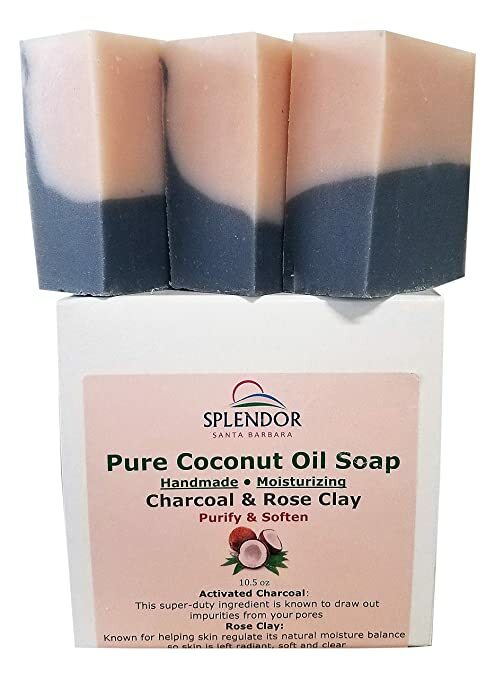 Splendor Santa Barbara’s Pure Coconut Oil Soap is anti-bacterial, anti-viral, and anti-fungal. This soap contains activated charcoal which can absorb over 500 times its own weight in impurities. It also contains rose clay with a mild lavender scent. It does not contain any palm oil, alcohol, parabens, sulfates, soy, GMOs, gluten-free, phthalates, plastic, artificial colors, and is cruelty-free! The price for 10.5 ounces is $13.79. Art Naturals’ Soap Bars Infused with Jojoba Oil are sulfate-free, paraben-free, mineral oil-free, and cruelty-free. 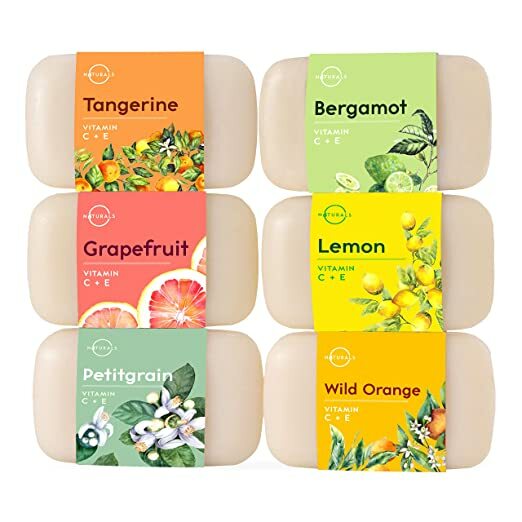 The regenerating soap bars come in six varieties: miracle wash, cool mint, tropical cleanse, purifying zing, floral detox, and soothing citrus. The price for this 6-piece set is $11.95. 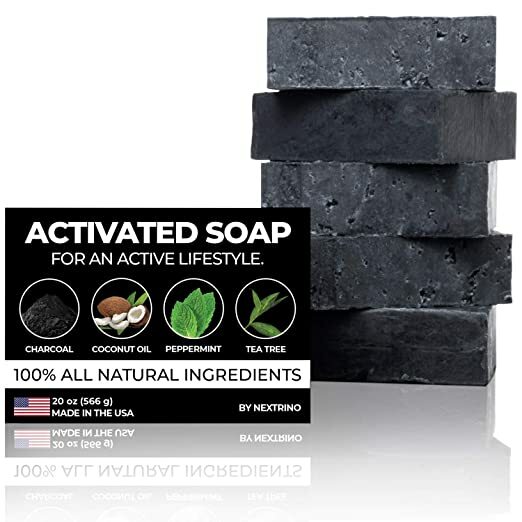 Nextrino’s Activated Charcoal Tea Tree Soap contains peppermint and tea tree essential oils, as well as coconut oil and charcoal. The bar is meant to be rejuvenating after plenty of activity. These soaps are also handmade in North Carolina. A 5-pack of four ounce soap bars costs $25.97, a pack of 2 costs $13.97, and a single bar costs $9.97. Bali Soap contains natural glycerin for extra moisture and to prevent dry skin. It’s free of parabens, phthalates, and sulfates, making it good for sensitive skin. Bali Soap says their soap is even helpful and moisturizing for those with dermatitis, eczema, psoriasis and rosacea. This six piece variety set includes passion fruit, sandalwood, mango, cinnamon, plumeria, and cempaka. The price is $14.95. 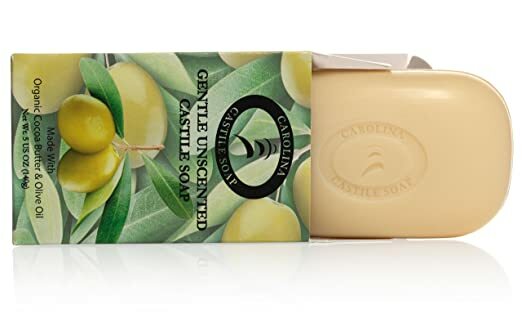 Carolina Castile Soap is triple milled, and made with organic cocoa butter and olive oil. Not only are all the ingredients vegan and the soap cruelty-free, but it’s free of synthetic fragrances and dyes. The price for 6 bars of this gentle unscented soap is $22.99. 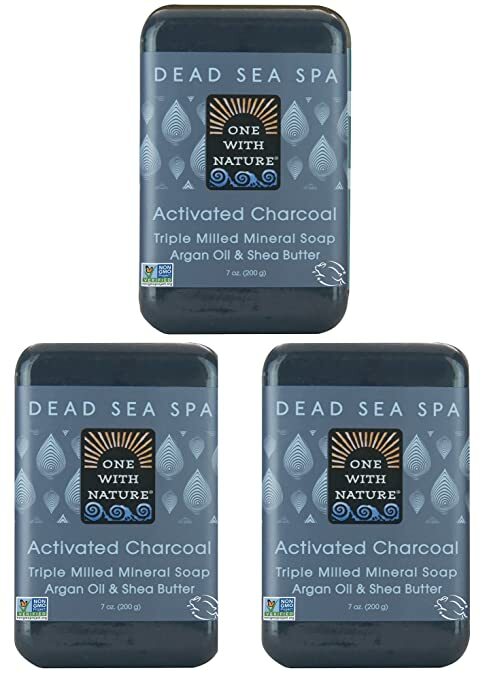 One With Nature says their Dead Sea Salt Charcoal Soap can be used on all skin conditions, including psoriasis, eczema, and acne. It contains activated charcoal, Shea butter, Argan oil, and dead sea salt, which is high in magnesium, potassium, calcium, bromide, and sulfur; it promotes skin tissue growth. The price for a pack of 3 soap bars is $14.99. 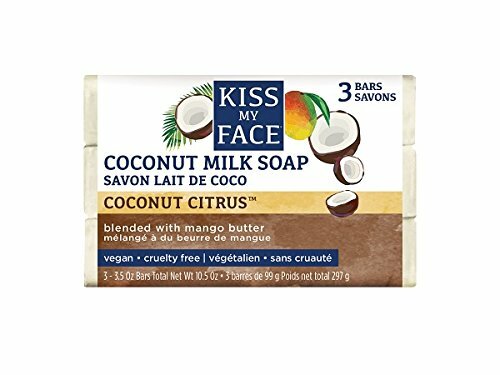 Kiss My Face Pure Coconut Milk Soap Bar contains coconut milk and oil blended with mango butter giving it a coconut citrus scent. It’s paraben-free, phthalate-free, as well as vegan and cruelty-free. A three pack of 3.5 ounce bars costs $19.98. 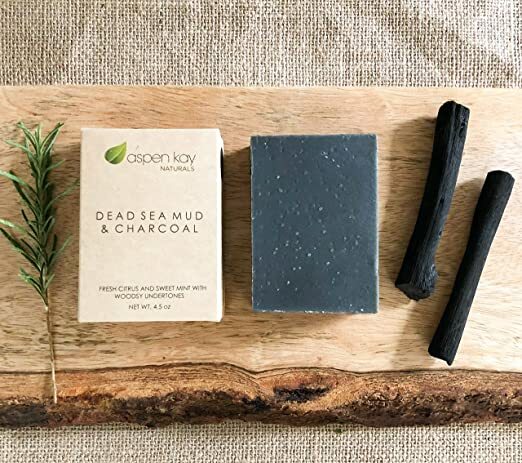 Aspen Kay’s vegan Dead Sea Mud Soap Bar, made of 100% pure dead sea mineral mud from Israel, is free of chemicals and preservatives, and each bar is handmade by an artisan soap maker. They state it can be used to help with acne, eczema, and psoriasis. It’s naturally scented with therapeutic grade essential oils of lemongrass, peppermint, and eucalyptus. 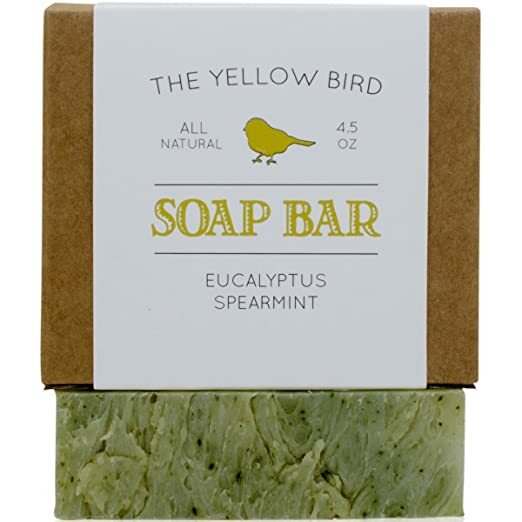 The Eucalyptus and Spearmint essential oils in The Yellow Bird Eucalyptus Spearmint Soap Bar can help reduce stress, so while you’re soothing your skin, you’re also soothing your mind. It does not contain any artificial dyes, synthetic fragrances, or harsh chemicals, and is handmade through traditional, small-batch, cold process method. The price for one bar is $9.45. 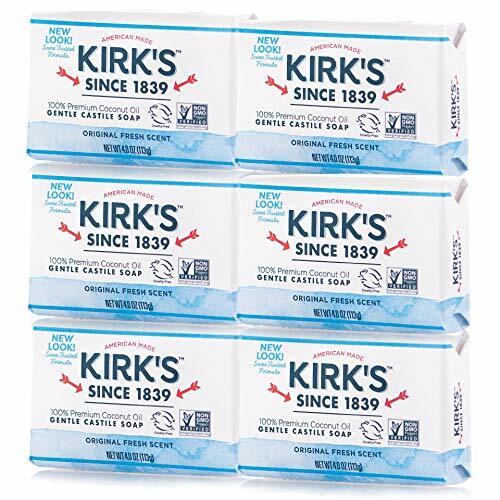 Kirk’s Original Coco Castile Bar Soap is not just vegan and cruelty-free, but it’s hypoallergenic and biodegradable. It also does not contain any synthetic detergents, GMOs, sulfate, parabens, phthalates, or other harsh chemicals. The varieties available are: original fresh scent, soothing aloe vera, and fragrance free. A six pack of 4 ounce soap bars costs $11.83. 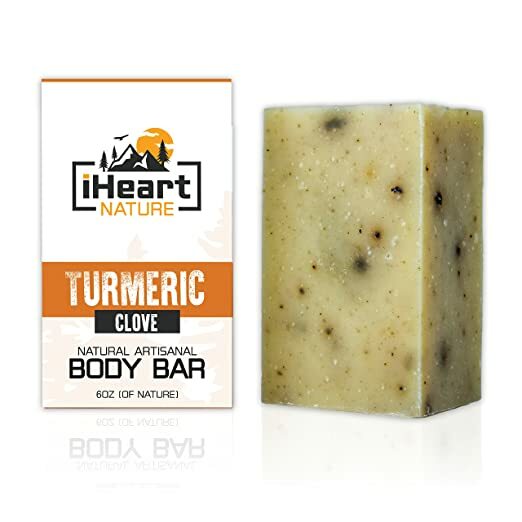 iHeart Nature Turmeric Soap Bar contains the powerful turmeric in root powder and essential oil form. Turmeric has been used for a long time in Ayurveda because of its healing properties for acne, dark spots, reducing pores and scarring, and so many other skin benefits. This soap is also infused with cocoa butter and olive oil for more hydration. The price for one large 6 ounce bar is $12.00. 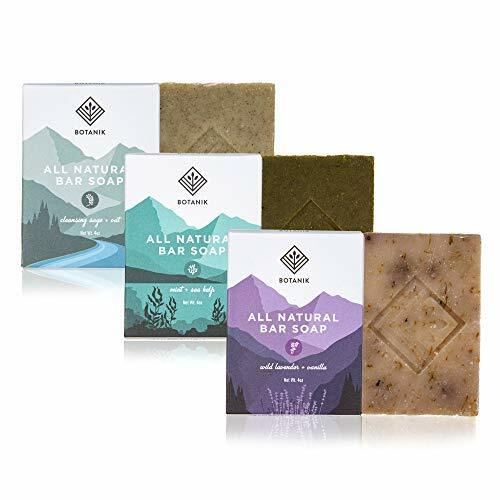 Botanik Natural Bar Soap is made with certified organic ingredients that are sustainably grown and harvested. It’s free of any artificial ingredients, fragrances, and synthetic detergents. These soaps are also hand made and hand cut in small batches with ingredients grown on a farm in the foothills of Washington’s Cascade Mountains. This gift set contains three fragrances: wild lavender & vanilla, mint & sea kelp, and cleansing sage & oat. The price for this set is $16.99. If you’re looking for more natural personal and home care products for yourself and your family, check out 15 Eco-Friendly Cleaning Products for a Sparkling Home and 15 Plant-Based, Eco-Friendly, and Non-Toxic Baby Products!